Ooh la la it's December! I can't believe it! December is one of my favorite months of the year, I just love the holiday, the smell of Christmas trees, and just how jolly everything seems to be! This sweater is quite perfect, it pretty much speaks for itself and describes exactly how I feel. 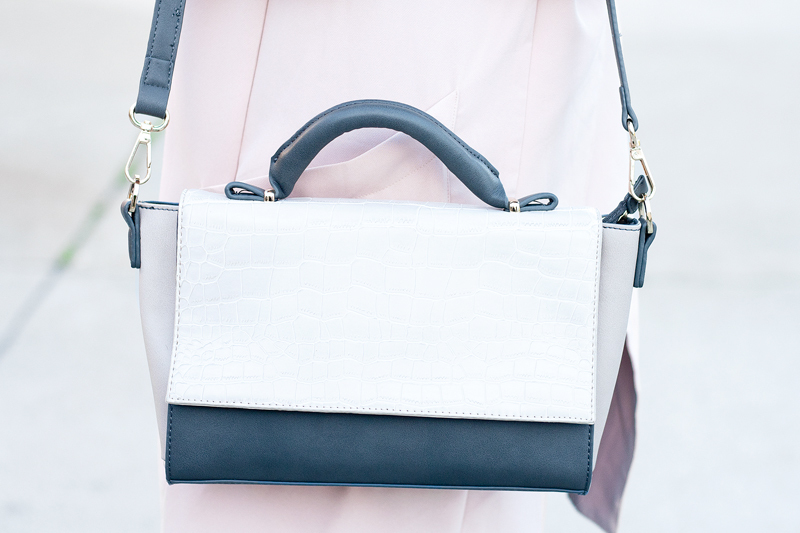 I wore it with a pair of striped pixie pants, blush pink trench jacket, studded heels, structured croc satchel, and my new Stella McCartney sunglasses from DITTO which I am beyond obsessed with! 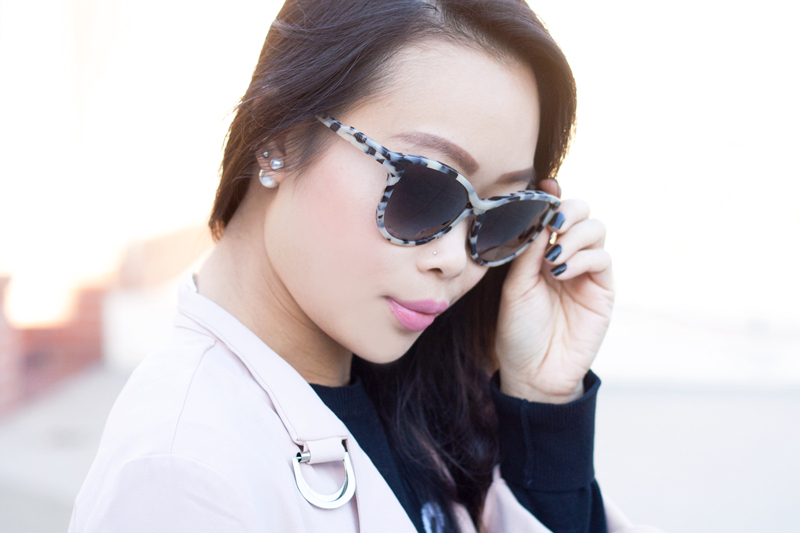 Speaking of DITTO, take the style quiz and create an account by 12/11 and you will automatically be entered to win free sunglasses for life! How awesome is that! Anyways there you have it, kicking off December in black, white, pink and an ooh la la! 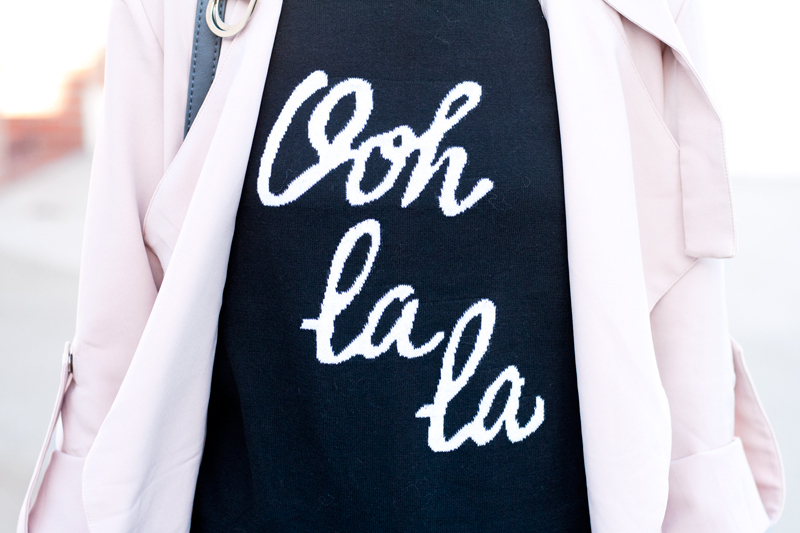 Ooh la la sweater (sold out) from Old Navy. 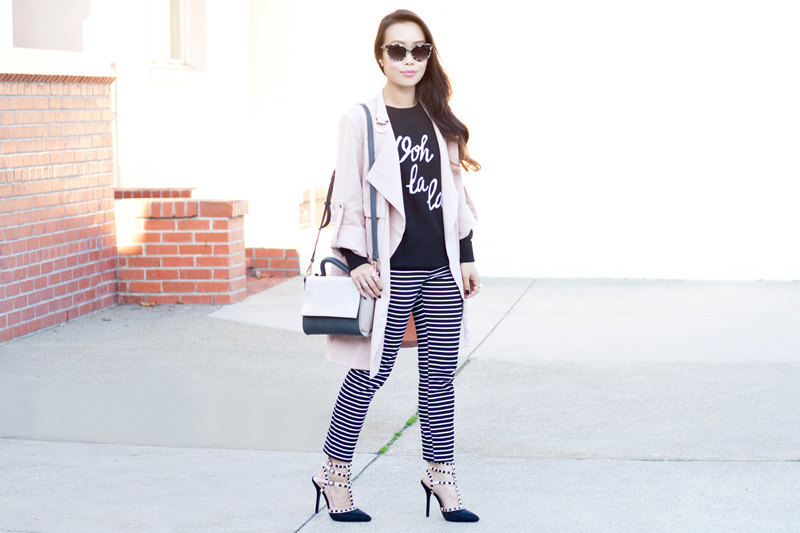 Striped pixie ankle pants (sold out but other print available here) c/o Old Navy. 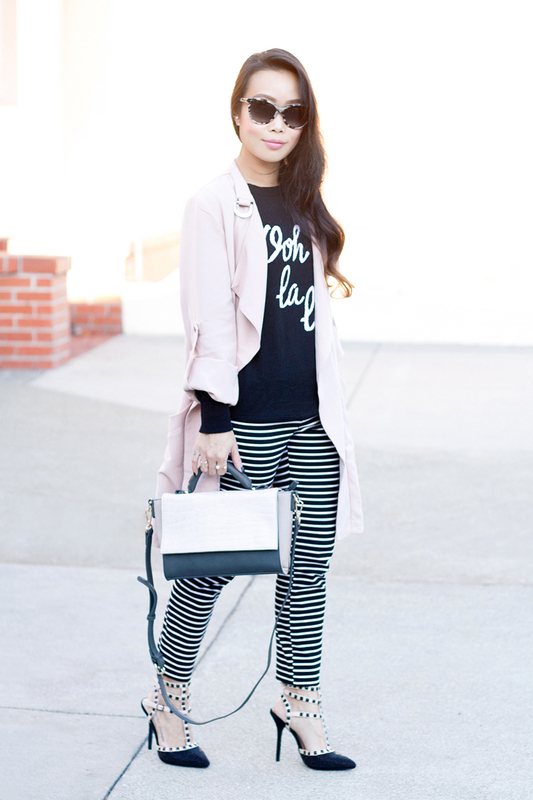 Blush pink trench jacket c/o Tobi. Studded heels c/o Charlotte Russe. I really like all the black and white patterns goin on here!